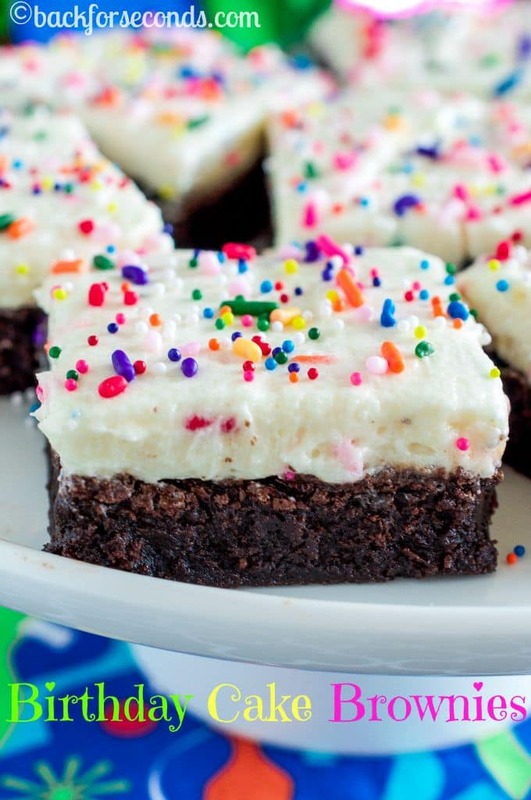 Birthday Cake Brownies just might replace cake for your next birthday celebration. 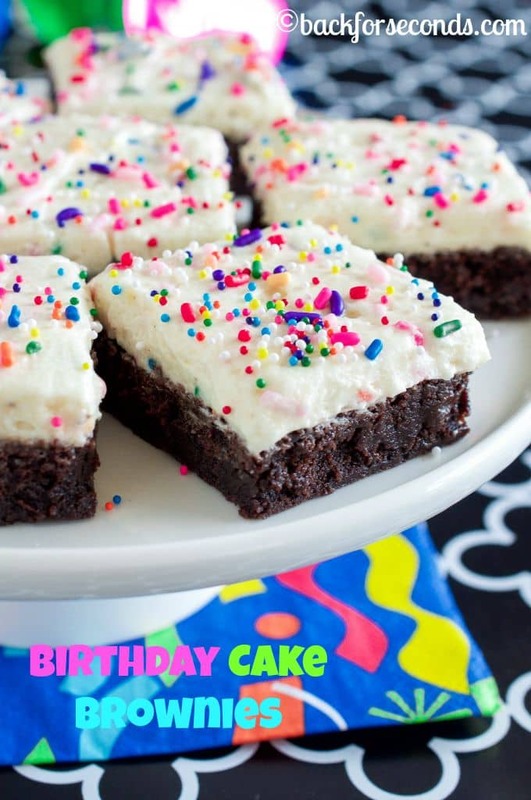 The BEST homemade fudge brownies with creamy birthday cake frosting – amazing! OK, so there’s no need to wait for a birthday to make these brownies. They are perfect for a celebration of any kind…or a random Tuesday! Today, however, is certainly a day worth celebrating. 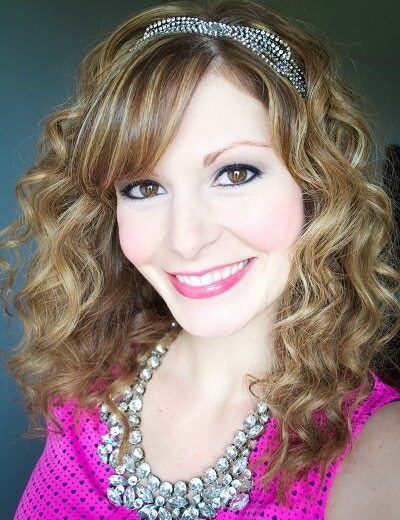 I have HUGE EXCITING WONDERFUL news to share with all of you!! I have been keeping a secret from you since last fall. I know, I’m terrible, please don’t be mad. I kept wanting to tell you but then I’d get scared and nervous and I would change my mind. I just can’t keep it in anymore – I am bursting with excitement!!! Honestly, I can’t even believe this is real life. This has been a dream of mine for some time, and now that it’s happening, I am in shock! I have been in love with baking, and experimenting, and creating in the kitchen since I was a kid. Then I managed to turn that passion into a full time job (still sort of in shock about that one, too)! And now I am officially the AUTHOR of my very own COOKBOOK!!! Sorry for all of the shouting. I’m just so incredibly EXCITED and HAPPY and I cannot wait to share this book with all of you!!! I am SO proud of the way it all came together. I knew writing this book would be hard, and time consuming, and stressful at times, but really? I had no idea. When I started writing this book I had a 5 year old, 3 year old twins, and a nursing baby at home with me. Some days weren’t too bad, and there were plenty of days that were a lot of fun. 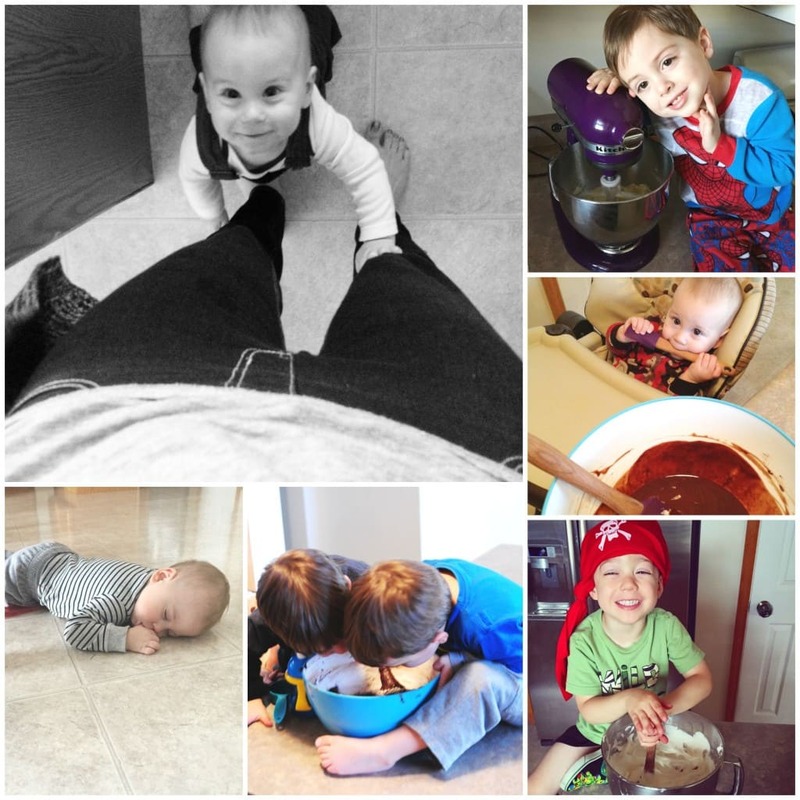 I’d have 3 tiny, eager helpers ready to mix, stir, and pour, and eat all the chocolate chips, and beg to “test” every recipe 🙂 And the baby would happily play at my feet, pulling everything out of every cabinet in the kitchen. But somedays were hard. The baby was sick, or fussy and needed to be held, so I baked with one hand. The kids all took turns being sick and needing lots of mommy snuggles, and my 3 year old broke his leg. My husband had a very busy work schedule – 12 hour days plus lots of overtime. Pretty much, he was never home and it was tough. 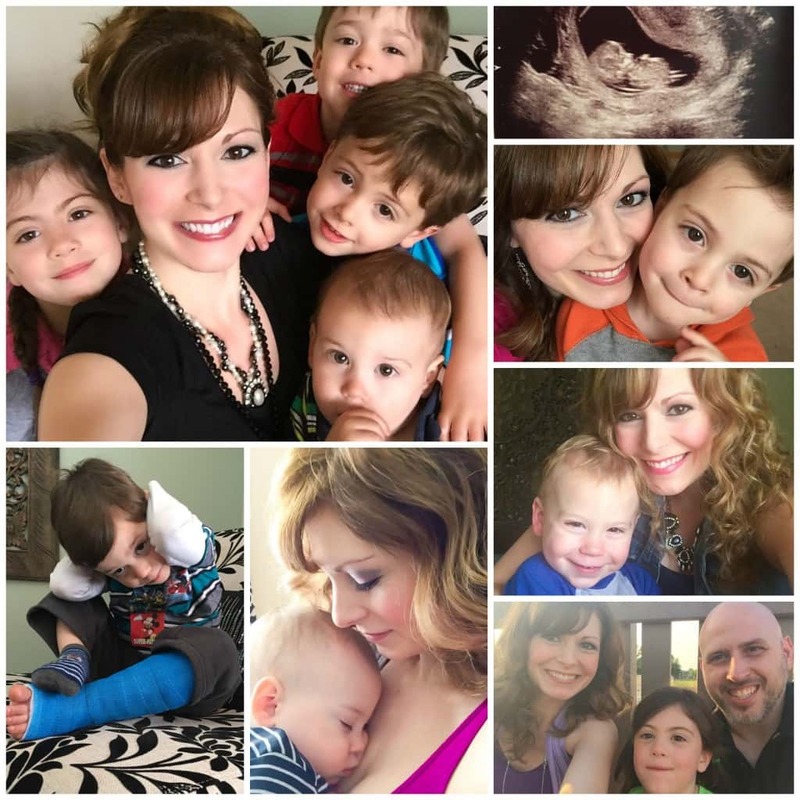 I had 4 babies that needed their mama, clients who needed me to finish projects on schedule, and this blog wasn’t going to write itself! So fitting in writing a cookbook and all that it entails – developing recipes, grocery shopping, recipe testing, and more testing, photography, photo retakes, photo editing, writing, more editing, etc. – it really has been a labor of love. I tried really hard to do most of the work (except the baking) while my kids were asleep. They are only little once and I wanted to spend as much time as possible with them. Besides, have you ever tried writing something important and very detailed in the company of lots of little children? Not happening. Oh! Then in February I found out I was pregnant again! I am forever thankful that I was finished with the baking part of the book by then because I. Was. Sick. To the extreme. It’s pretty tricky writing a cookbook and a food blog when you can’t stand the sight of food. I had to take a break for awhile because I could not even get out of bed. I couldn’t eat or drink, and spent most of the time with my head in the toilet. Ick. By the grace of God, I finished my book – and a week ahead of schedule, at that! I put a lot of work and a lot of love into every aspect of this book. From designing the cover, making sure the layout was just right, taking every photograph, testing and tasting every recipe, to writing and editing every word. I am completely thrilled with the finished product and I am proud to have my name on the cover. 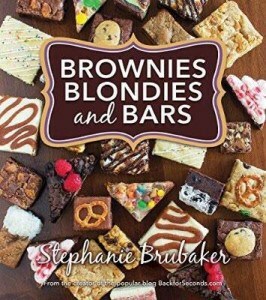 Brownies, Blondies, and Bars is now available for presale!!! 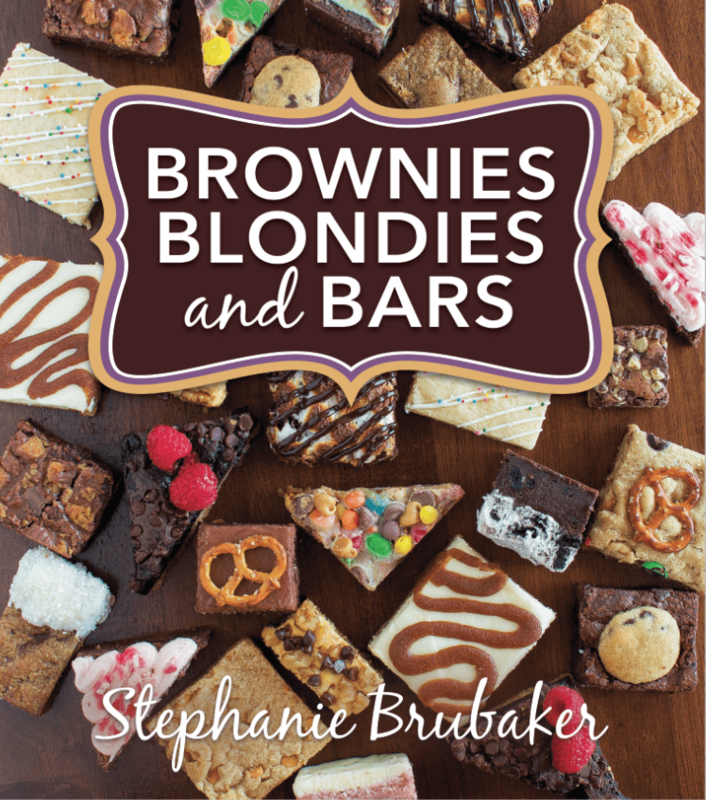 I will give a more detailed look inside the book soon, but for now just know that if you or someone you know loves cheesecake, brownies, no bake desserts, gourmet cookie bars, fudge, or over the top blondies – you need this book! There is something for everyone and the best part is that every recipe is EASY to make! They look and taste seriously impressive, but they are all fuss free! Even beginner bakers will love Brownies, Blondies, and Bars. 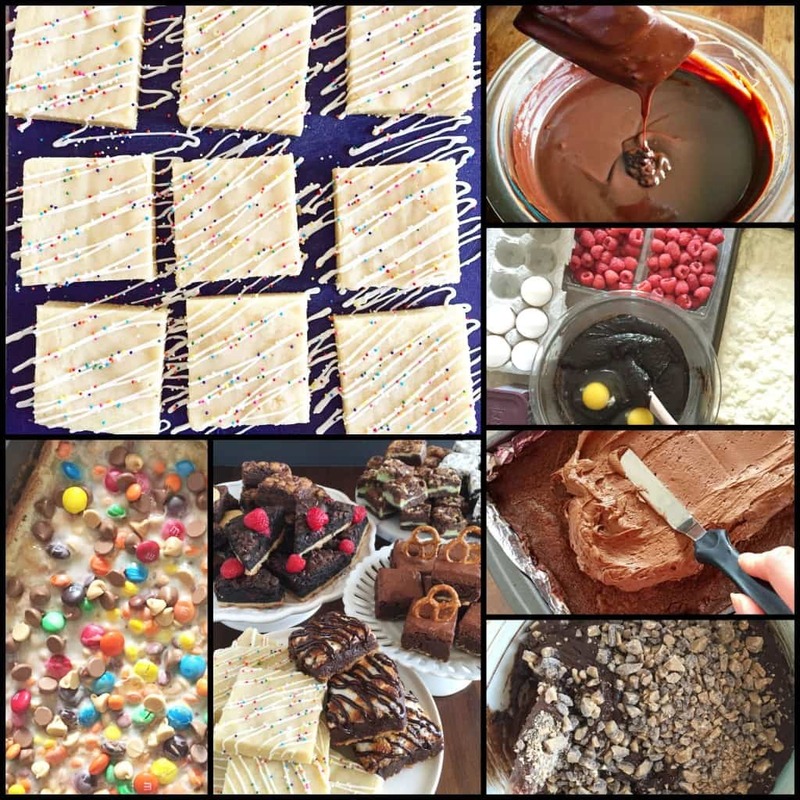 You will for sure want to have this around for stress free holiday baking this year! Eeeeeekkkk!! I am beyond thrilled to share this book with all of you and I hope that you love it and bake from it often! And in the mean time – try these Birthday Cake Brownies! 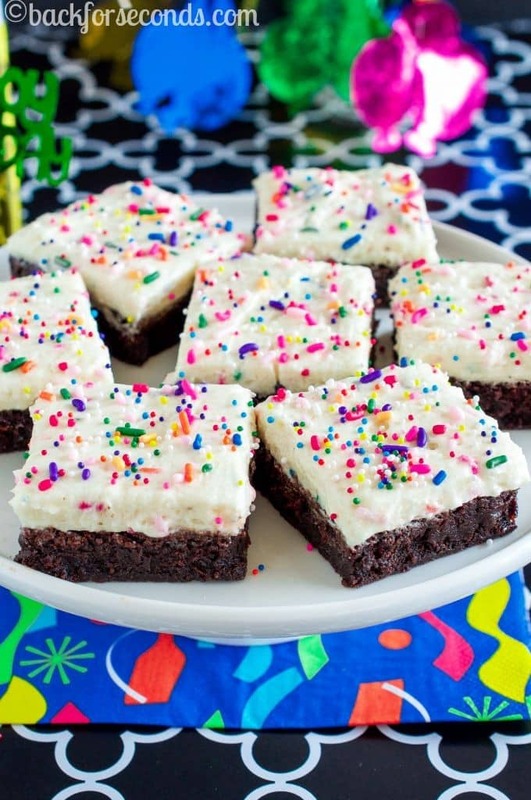 The rich, fudgy, homemade brownie is slathered with creamy, dreamy, birthday cake flavored frosting. And sprinkles. Lots of sprinkles. These were a huge hit with everyone who tried them, and I know you’ll love them too. Enjoy! For the frosting, could you use funfetti cake mix instead of yellow cake mix? I don’t see why not! Enjoy!